Joseph is a professional film and video maker with over 15 years of expertise in high-end productions. A video camera hobbyist since a kid, he entered the industry in 1998 as a production coordinator for Japanese TVCs filmed on location in Australia and New Zealand. In 2001 Joseph established his freelance business “Creative Engine J.O.E.” and continued to facilitate Japanese productions while undertaking various roles of coordinator, videographer, editor, line producer and first assistant director. Making use of his technical skill and multi-cultural background, he has worked with some of the best international crews alongside some of the top agencies and post-productions in the industry. Passionate in the art of storytelling, Joseph wrote and directed two award winning independent films, “Wahori Days” in 2004 and “Line Disconnect” in 2009, which further developed his skill-set. It was during the making of these films that propelled his love of film editing and naturally he became fascinated in cinematography, colour grading and visual effects. 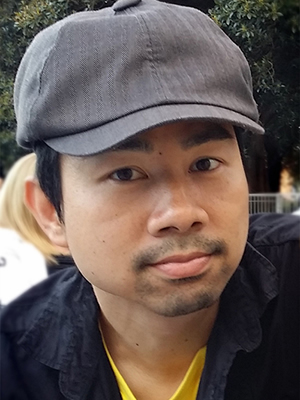 Between 2011-2014, Joseph worked at DDB Sydney as a full-time editor. His role included editing TVCs, hype reels, case studies, animatics, online videos as well as motion graphics and filming for major brands like McDonald’s, Telstra, Audi, Volkswagen, Gatorade, Neutrogena, Wrigley’s, and Tourism Australia. Joseph was also involved in creating a couple of winning pitch videos for clients like Westpac, Johnson and Johnson, S26 Gold, and Tim Tam. As filmmaking tools continue to grow, Joseph excels in learning new skills and coming up with solutions to challenging projects. A true kid at heart, his energetic approach to work is both fun and serious, much like playing a computer game. Not only is Joseph a great editor, he possesses the skill and experience required in different stages of production, whether it’s in conceptualising, collaborating on-set or working closely with VFX artists.